I first met a Kiger Mustang in the early 90's at my sister's ranch near Bend, Oregon. I had ridden horses since I was a boy, but these animals were different. I remember the first time I slipped under a rail and entered a fenced in area where about fifty Kigers were grazing. I was alone and they all looked at me. Many of them were just off the range and truly wild, but they weren't frightened of me. In fact, several approached me with genuine curiosity. Soon I was surrounded by about a dozen mustangs. One mare walked up to me and softly whinnied. I stroked the bridge of her nose and she nuzzled me as if to acknowledge my scent, then went back to grazing. I went on to ride several of these magnificent horses over the years, including a Kiger owned by my parents in Lapine, Oregon. It was clear from the beginning, as others will tell you, that these mustangs have high intelligence, are rock-steady trail horses and seem to like humans. The first Kigers were discovered in 1977 by the Bureau of Land Management. Genetic testing soon revealed these mustangs were extremely rare, direct descendants of Spanish horses brought to America by conquistadors in the 1500's. In the years since their discovery, the BLM has successfully managed the wild herds and placed many up for adoption. My screenplay is a fictionalized account of a similar discovery with even greater genetic significance and explores how human contact can either save these amazing horses or doom them to oblivion. Following the death of his estranged father, reclusive bronze artist Sam Hayes returns to the ranch of his childhood in a remote part of southeastern Oregon. In a dry spell and searching for inspiration to carve the wax that will become his next piece, he finds solace in his land yacht, sailing across a dry lakebed adjacent to the ranch. One morning he nearly collides with a wild mustang. Strangely, the stallion studies him, flaring his nostrils to smell him before galloping away in the alkali dust. With help from George, an aging Native American who’s stayed on at the ranch along with housekeeper Juanita, Sam sets up a bronze studio in an unused barn where he stumbles upon a diary that belonged to his father. It describes the wild mustangs he studied and how they might be a pure genetic remnant of Spanish mustangs brought to the new world centuries ago. But Sam has more to deal with than creative block and wild horses; he’s facing bankruptcy and his 12-year-old son Mike is about to arrive for the summer. Meanwhile, in the hills that border the Steens Mountain Protection Area, Southwestern Mines president Alan Whitlock presides over a survey party staking out the boundaries for a massive open pit mine. When Mike arrives from Los Angeles history seems destined to repeat itself. Sam hasn’t seen him in six years and the boy has feelings of abandonment. 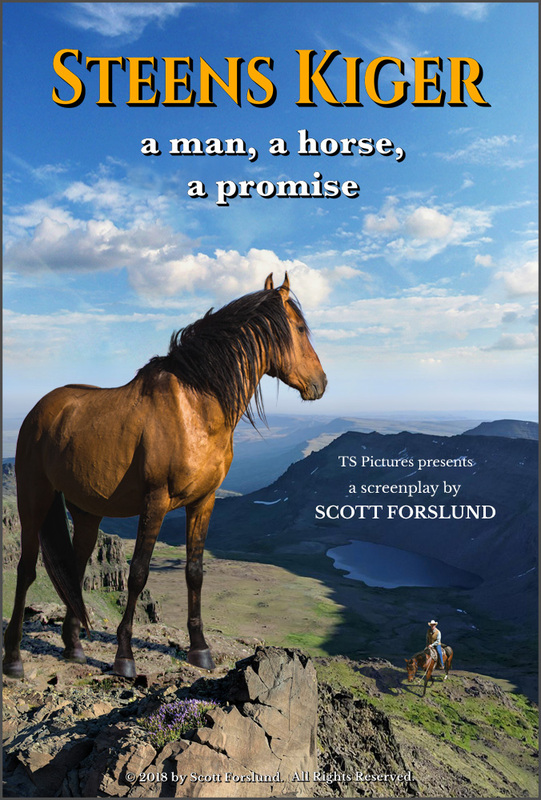 Though Sam tries to break the ice by showing his son a distant herd of wild mustangs, their relationship suffers further when Sam joins a legal fight to stop the mine. But George befriends Mike, becoming his spiritual teacher, and believing direct interaction with the mustangs will bring father and son together, he finds a dozen of the horses and leads them back to the ranch. It’s soon apparent the mustangs are exceptional as Sam connects with Dancer, a mare his father had trained and set free. Sam teaches Mike to ride to the boy’s surprised delight, and realizing they need proof of the mustangs’ ancestry to fight the mine, Sam contacts University of Kentucky geneticist Ellen James. Fascinated by Sam's story, Ellen tests a blood sample and proves the mustangs are not only direct descendants of the Spanish explorer’s mounts, but their DNA no longer exists anywhere else in the world. As a romance develops between Sam and Ellen, it strengthens his resolve and he takes Dancer to a cow cutting competition in Sacramento. If he wins, the prize money could save the ranch and help protect the mustangs. After placing second, however, all seems lost until a wealthy horse breeder joins forces with him. But it’s too late. The mining interests target the herd for destruction when it becomes a roadblock to their plans. In a nightmare scenario, most of the herd is poisoned at a remote watering hole, and the mustangs are further threatened when Whitlock’s henchmen raid Sam’s ranch, releasing the rest of the herd and endangering Mike in the crossfire. In a last ditch effort to stop the mine and save the mustangs, Sam must make his case before a judge in Burns, Oregon to reveal the true nature of Whitlock, whose greed may cause the genetic extinction of one of the most graceful creatures on Earth. © 2018 by Scott Forslund. All Rights Reserved. The Steens Kiger screenplay is available upon request for those interested in this project. Please contact us for a link to it and other information. I remember the first time I slipped under a rail and entered a fenced in area where about fifty Kigers were grazing. I was alone and they all looked at me. Many of them were just off the range and truly wild, but they weren't frightened of me. In fact, several approached me with genuine curiosity. Soon I was surrounded by about a dozen of the mustangs. One mare walked up to me and softly whinnied. I stroked the bridge of her nose and she nuzzled me as if to acknowledge my scent, then went back to grazing.